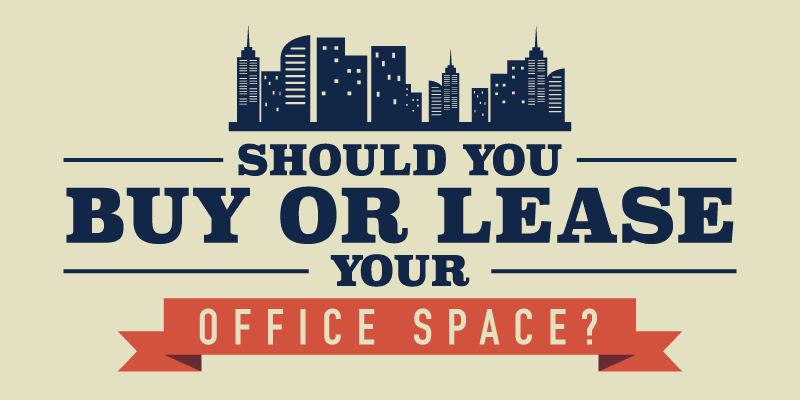 Choosing whether to buy or lease an office space can be confounding indeed. On the one hand, you need to consider the pros and cons that each option brings to the table. Understandably, you want to minimize cost and get the most bang for your buck. On the other hand, you want your employees to fully support your decision to move. Surely, you know that the location, accessibility, and ambiance of an office property can affect your employees’ work performance and morale. How then do you find the balance between meeting your organizational goals and cutting down on overhead expenses? For starters, the nature of your business should give you adequate insights in setting up your office. It’s more practical, for example, for your real estate business to invest in its own building instead of leasing an office property. You can also gauge the physical mobility of your business to help you plan your office search. If you’re constantly moving your products, equipment, machines, and from one location or market to another, leasing may be the right thing for you to do. With leasing, you have the flexibility to better position your business to be where the current market opportunities are. On the other hand, you might find a property that has all the makings of a semi-permanent to permanent headquarters for your company, meaning you’re certain that you can commit to that particular location or building for the next 10 years or so. If that’s the case, buying the property may be a smart move as it will give you the assurance that you won’t be increasing your monthly payments, which is a typical scenario in the leasing market. Buying an office building can use up a significant portion of your capital and go ahead with the purchase amid limited funds could hurt your business’s financial standing. The more practical and responsible decision is to put your capital and other resources in marketing, R&D, customer service, recruitment, or IT, to name a few. These business units play a big role in increasing the revenue and expanding the expertise of your company by giving you a quick return on investment (ROI) and ensuring that there’s continuity in your business processes. However, there are instances when you must think less about maximizing your current financial resources and more about the value appreciation of investing in office real estate. For one, you’re already starting to build equity once you buy commercial office space. Should you decide to expand your business in the future, you’ll be able to either sell the property at a higher price or use the equity you’ve built over time as collateral. You can also rent out any extra space in your office building so that you have an additional source of income through monthly rents. Then you can use those monthly rental payments to cover some of the costs you incurred when you first purchased the property. Purchasing prime commercial property takes time, from the moment you start looking for commercial spaces for sale and closing the deal to processing documents and designing the interiors of the office space. So, if your organization needs to quickly transfer to the new location, then leasing may be the better option for you. This is especially so if it’s top priority for your company to be in prime business districts. Admittedly, there’s a certain prestige to having a Makati office, for instance. Plus, these prime locations are accessible for most clients and employees. It’s valid to think that you should choose to lease over buying if your business is just starting out. Since the size of your company is relative to how much financial asset you have, your newly launched business might not be in a position yet where it can afford to pay the huge upfront costs that are tied to buying an office property. Again, you’ll be making a good decision to use your capital to grow your business rather than expand your space prematurely. The same thing applies for when you must downsize your business. If your business isn’t doing so well, you could potentially incur more losses, especially if you’re unable to sell your office property. In contrast, leasing provides you with more flexibility in scaling down the size of your office depending on your business condition. At the end of the day, there are no hard and fast rules that will tell you exactly which of the two options – to buy or lease an office space – is going to benefit your business. It all comes down to a collective assessment of where your company is at the moment and where it is likely headed in the months or years to come. It’s worthy to mention, though, that leasing services have grown exponentially, paving the way for a wide range of solutions that can cater to your specific office requirements. Here’s an infographic to help you distinguish what’s in store when you buy or lease commercial space for your business.